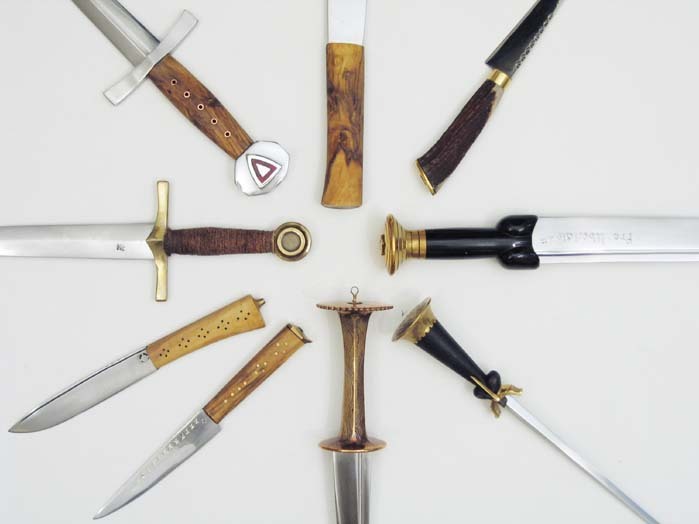 Some daggers from around the world. 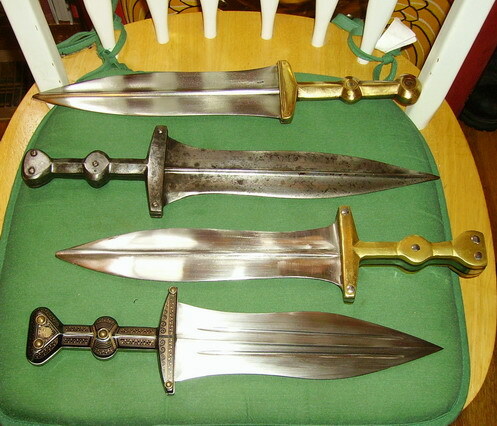 1) Silver mounted and ivory handled Dha Hmyaung of the Shan people of Burma. 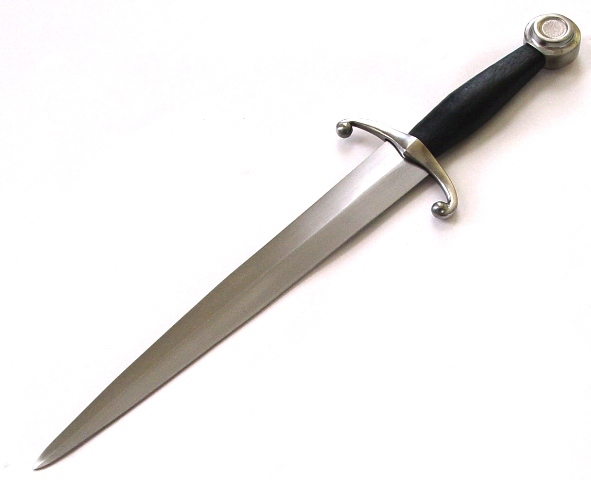 2) Persian dress dagger with gold washed blade, latter part of the 19th Century. 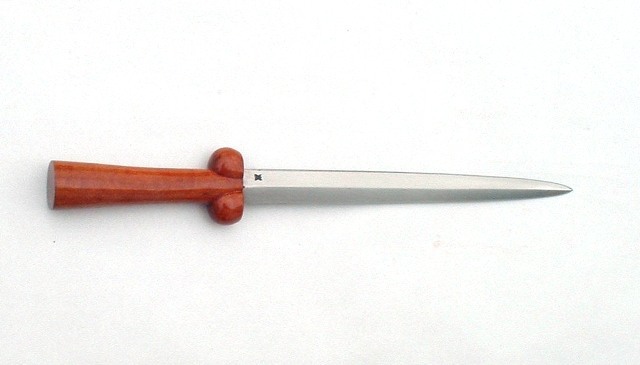 3) Inlaid bone handled dagger from the Surmene area on the Black Sea. 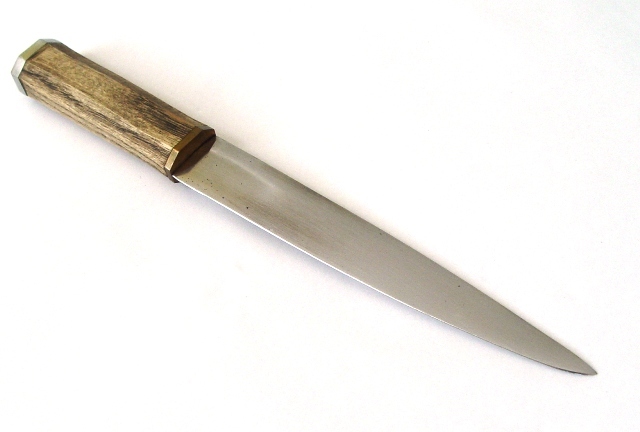 4) Full tang bone handled dagger probably 19th Century Khyber region. 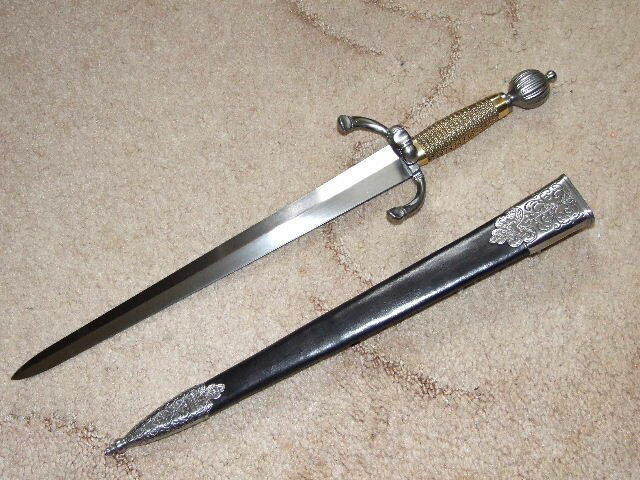 5) Horn handled long dagger or short sword from the Surmene region on the Black Sea dated 1910. 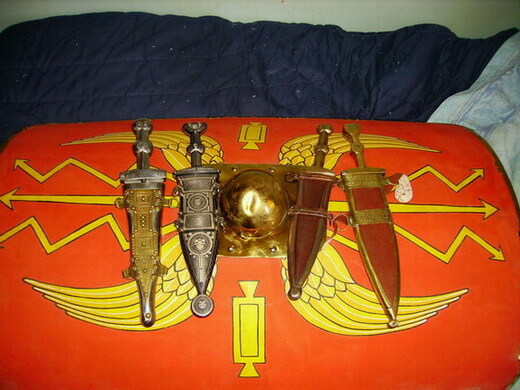 Those are some beautiful pieces you have there, but the two from the Black Sea are really outstanding. 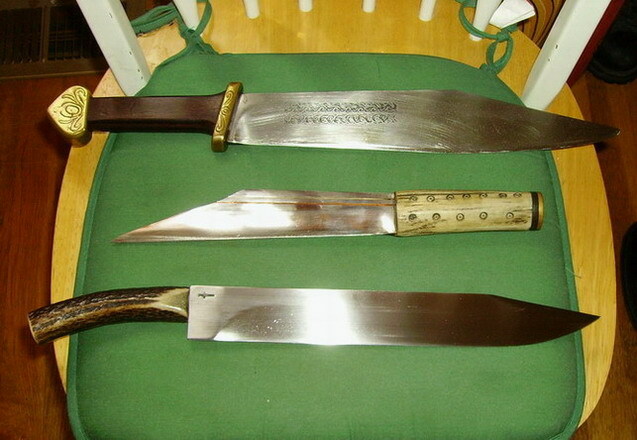 There's some really nice craftsmanship on those two. Please reply by PM if need be, so as not to hold it up any further. 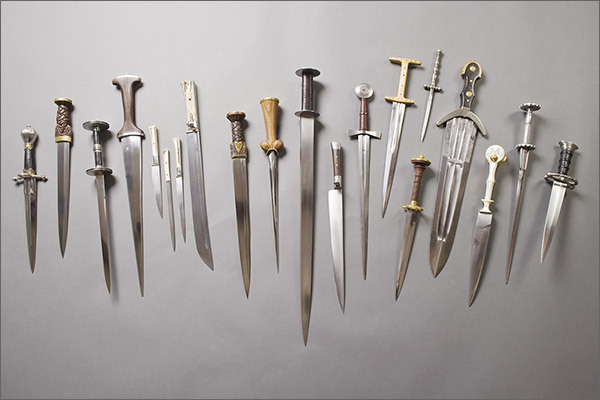 My question is... What is the dagger you dagger enthusiasts can recommend to me to most effectively utilize the techniques described in Jason Vail's "Medieval and Renaissance Dagger Combat"? I don't necessarily mean the closest historically, I mean the closest effectively. Y'see, I just "acquired" (a business arrangement, shall we say) a very dog-eared and dusty paperback copy of this book, and I am very interested in adopting the techniques inside. As with all new techniques I learn, I am looking to buy the ideal equipment, or have it made for me. I'd like to know what experts on the period and region think I should get. 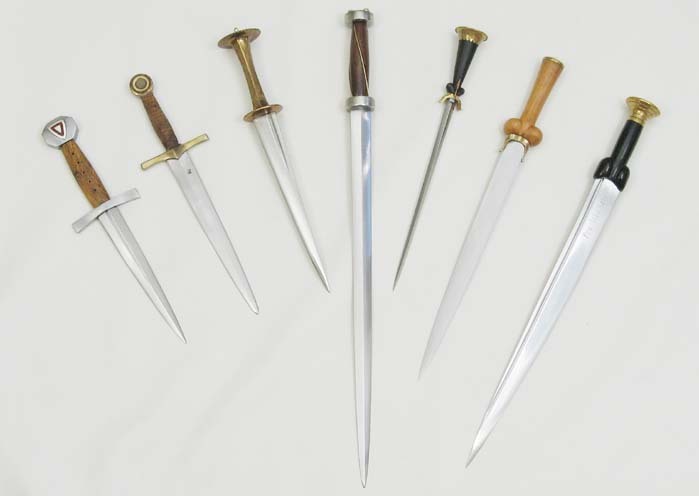 This is a thread to show off daggers in your collection. 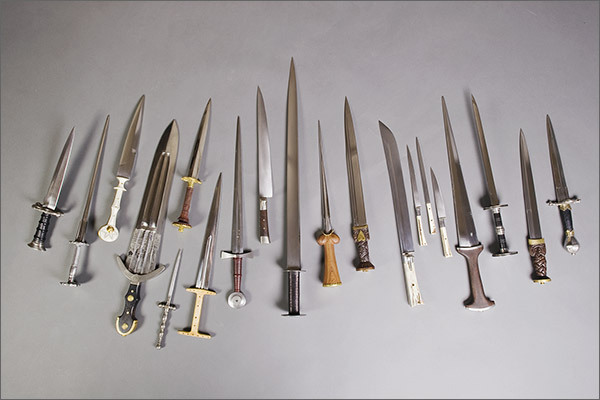 It's not for any random dagger-related question. Please start a new thread for your question. 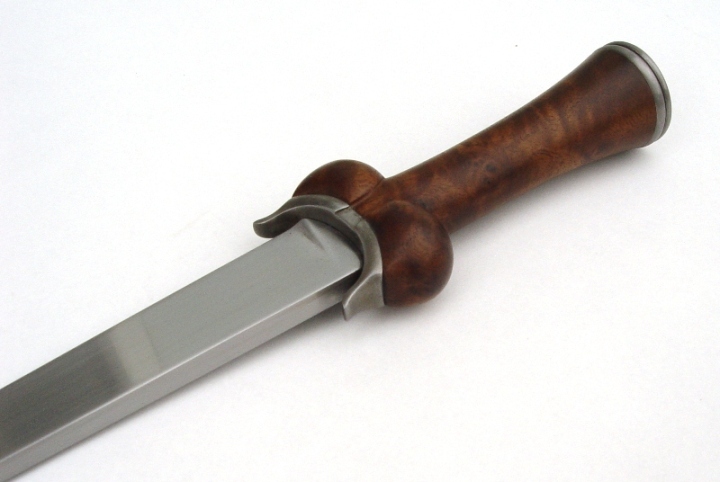 That's a bone grip, and from what I understand, the brass fittings were cast directly onto the tang. Here's the latest set of group shots. Enjoy! Some rather nice stuff from Tod there if I'm not mistaken. Here's a couple more. 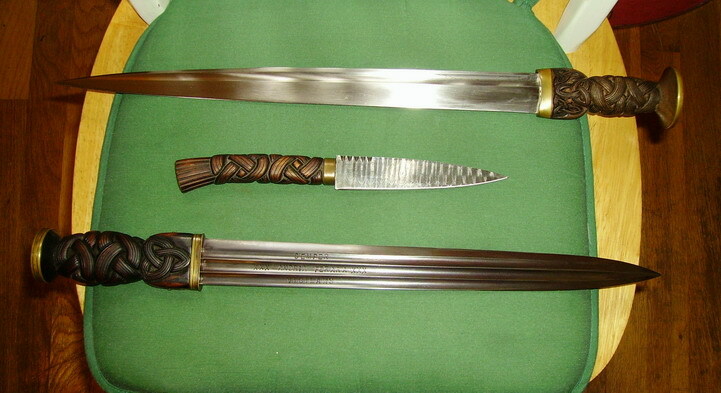 An Eric McHugh Saex with handle and scabbard by Tod and an A&A 1580 parrying dagger which I asked Tod to do a wire-wrap grip for. 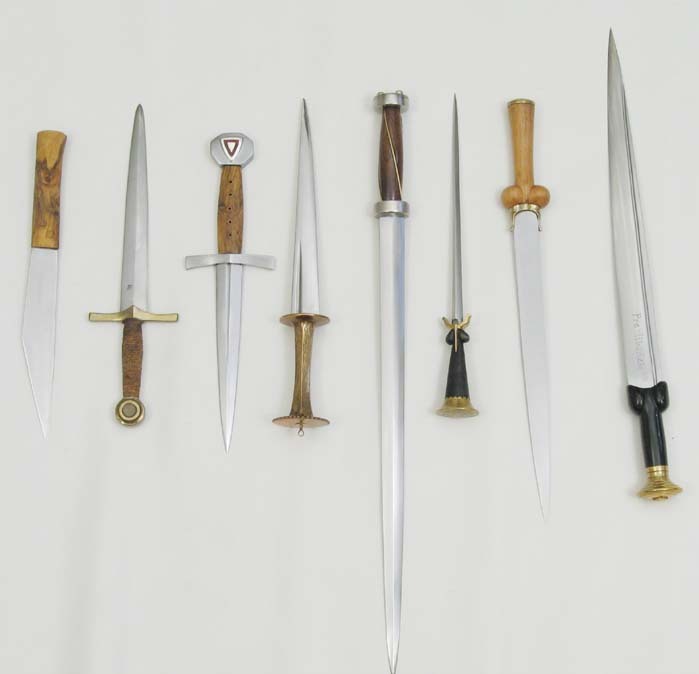 Here's my dagger collection as of 2-2011. 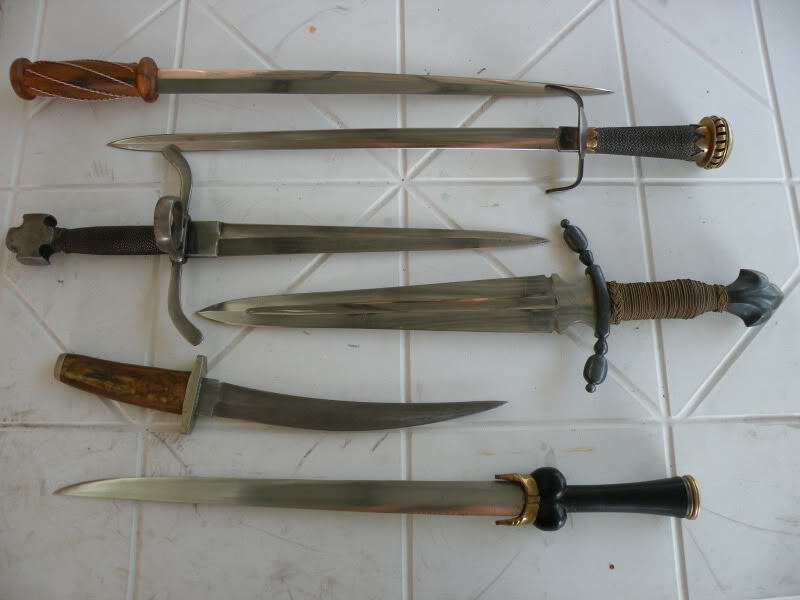 Some more daggers from around the world. 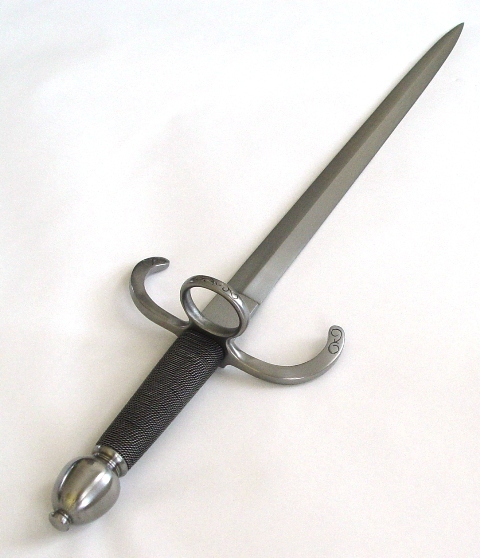 1] Silver mounted Criollo dagger from Brazil latter part of the 18thC. 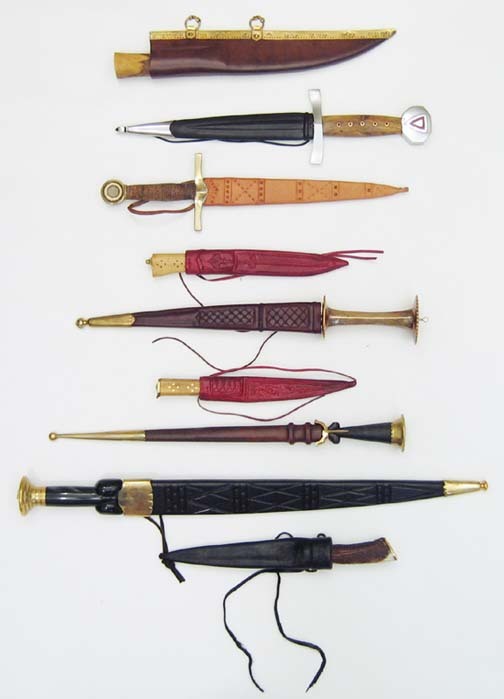 These daggers were produced in Europe, Belgium/Germany, for export to S.America. 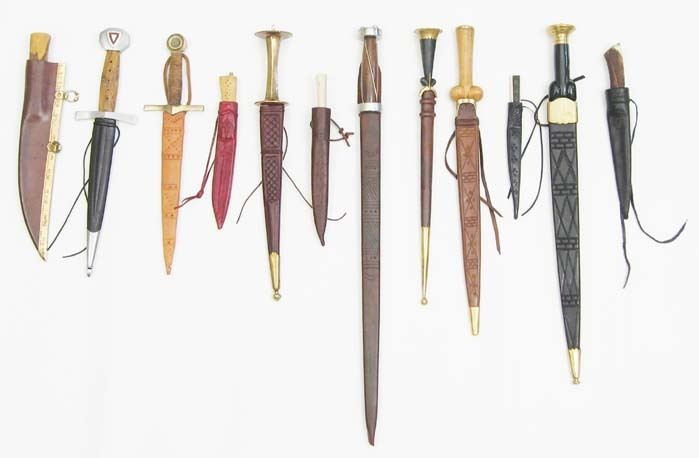 These were worn by the well off as adornment and for use and not by the Gaucho who would have used a much more utilitarian weapon/tool. 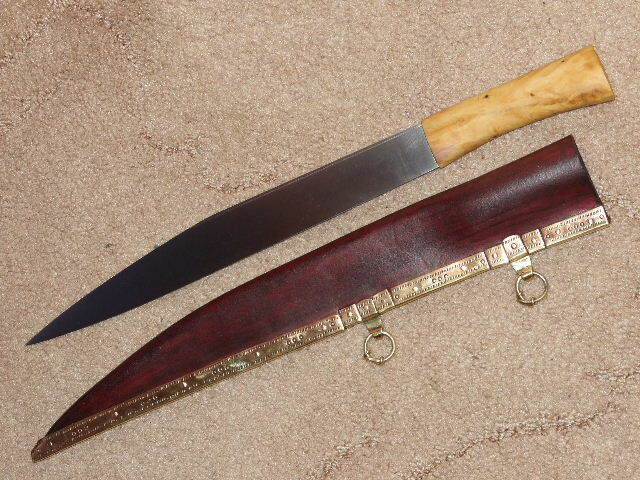 2] Kurdish dagger from Northern Iraq, horn handle and probably late 19thC. 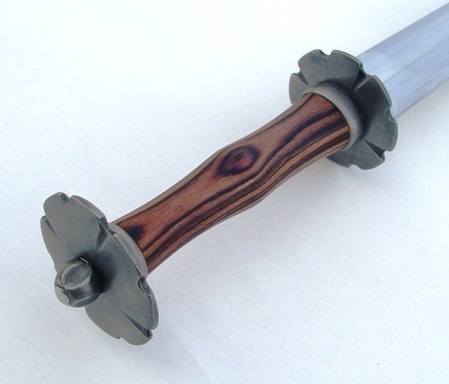 I like that long rondel dagger, Mr. Arnow. 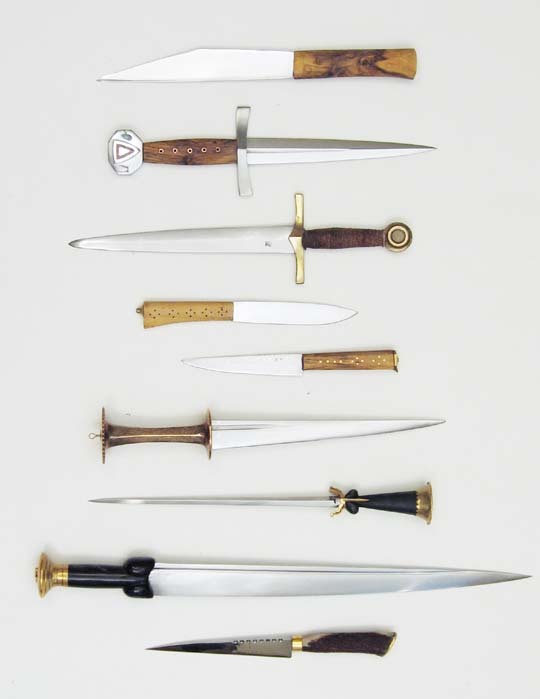 It just stands out so much from the rest of your collection, in a good way. Thanks! It'spretty huge. Craig and the boys at A&A did a great job on it. 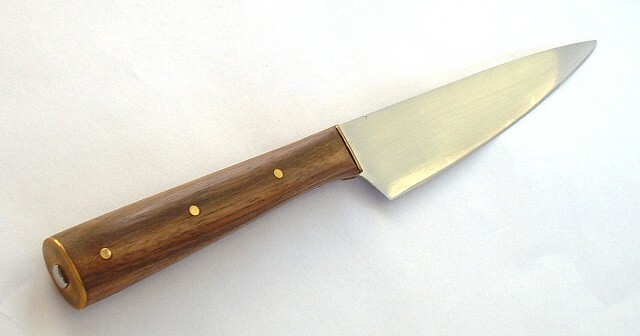 The tooling on the sheath doesn't show up so well in that picture. The forthcoming review photos will show it better. 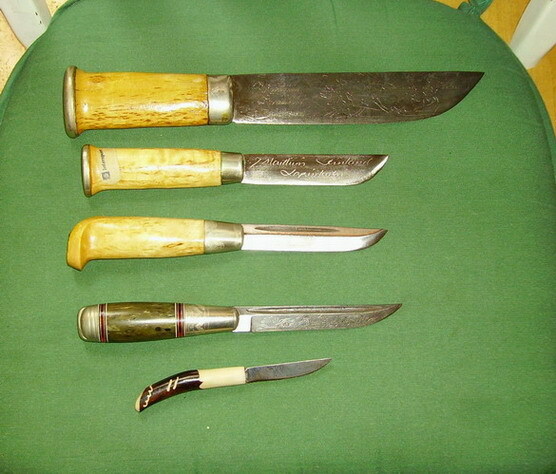 Please see my Collection Gallery for further information on all or most of these items. 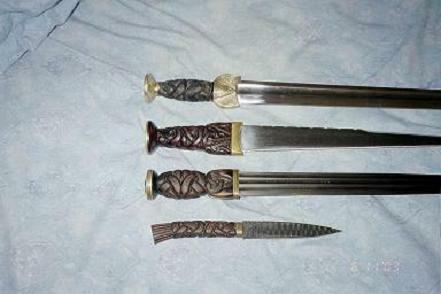 the 4 in the center are all Hrisoulas blades. 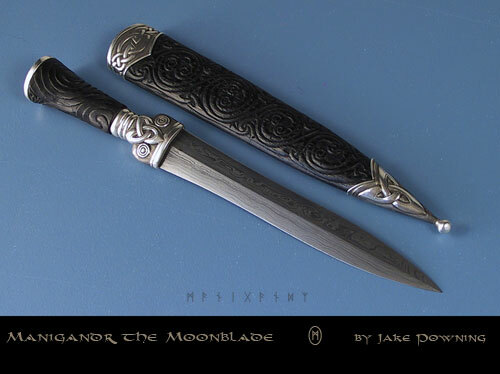 and I believe Jim did the last one himself but someone else did the scrimshaw.